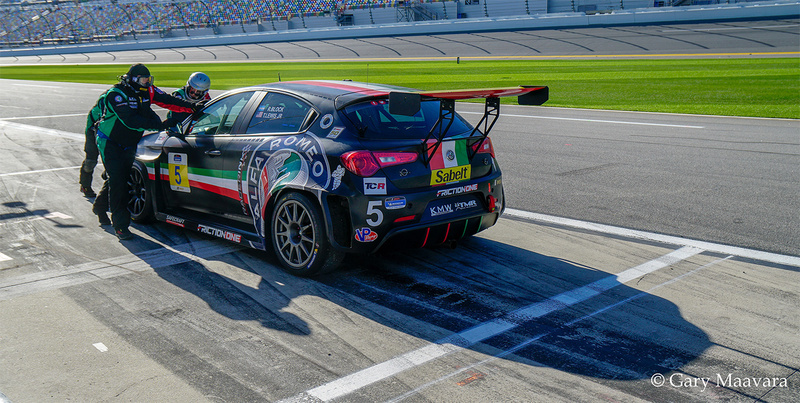 The 2019 North American sports car racing season got underway on Friday at the four-hour BMW Endurance Challenge at Daytona International Speedway in Daytona Beach, Florida. 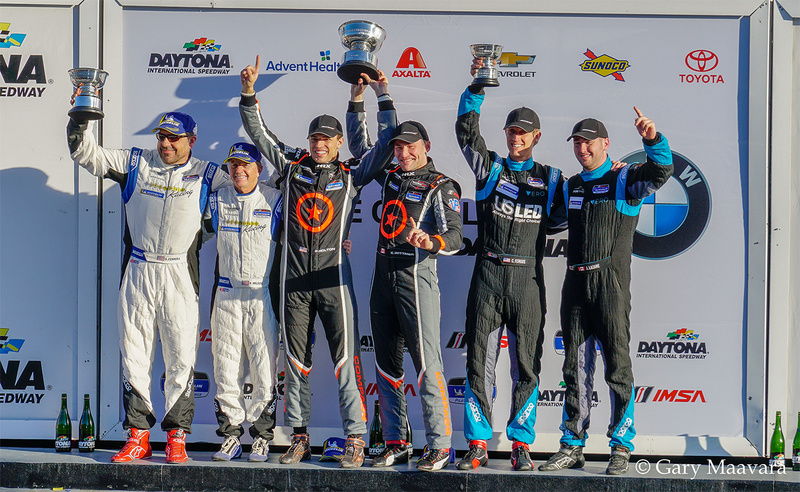 The overall win of round one of the Michelin Pilot Challenge series went to the No. 75 Grand Sport Compass Racing McLaren GT4 driven by Canadian Kuno Wittmer and Paul Holton from Orlando, Florida. Second place in Grand Sport went to the No. 99 Automatic Racing Aston Martin Vantage GT4 driven by Kris Wilson from Monument, Colorado and Gary Ferrera from Houston, Texas. The final step on the podium went to the No. 69 Motorsports In Action McLaren GT4 driven by Canadian driver Jesse Lazare from Montreal, Quebec and Columbus, Ohio native Corey Fergus. The win in the Touring Car class went to the No. 37 LA Honda World Racing Honda Civic TCR driven by Tom O’Gorman from Cincinnati, Ohio and Nashville native Shelby Blackstock, the son of country music star Reba McEntire. Runner up went to the No. 73 LA Honda World Racing Honda Civic TCR sister car driven by Mat Pombo from Atlanta, Georgia and Mike LaMarra from Detroit, Michigan. Third place went to the No. 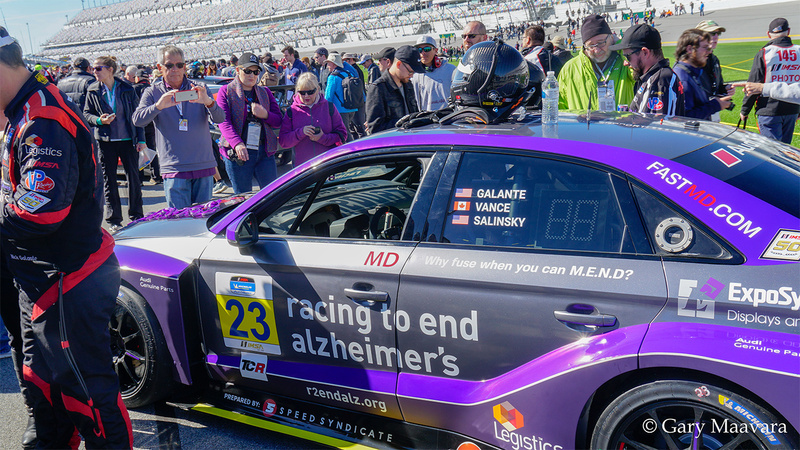 23 Fast MD Racing Audi RS3 LMS TCR driven by Canadian James Vance from Toronto, Ontario, Floridian Jared Salinsky and Nick Galante from Greenfield, Massachusetts. The remaining Canadian drivers did not have as successful a race day in the large 49 car field. 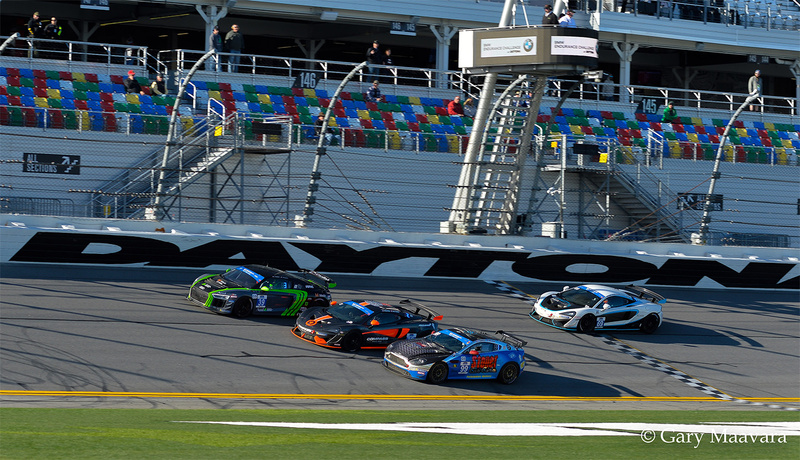 Scott Maxwell finished 9th overall in the Multimatic Motorsports Ford Mustang GT4. Kenny Wilden finished 11th overall in the KohR Motorsports Ford Mustang GT4. Kyle Marcelli finished 32nd overall and 27th in class in the KohR Motorsports Ford Mustang GT4 sister car. The all-Canadian driving team of Scott Hargrove and Orey Fidani finished 35th overall and 28th in class in their AWA Porsche 718 Cayman GT4 Clubsport. 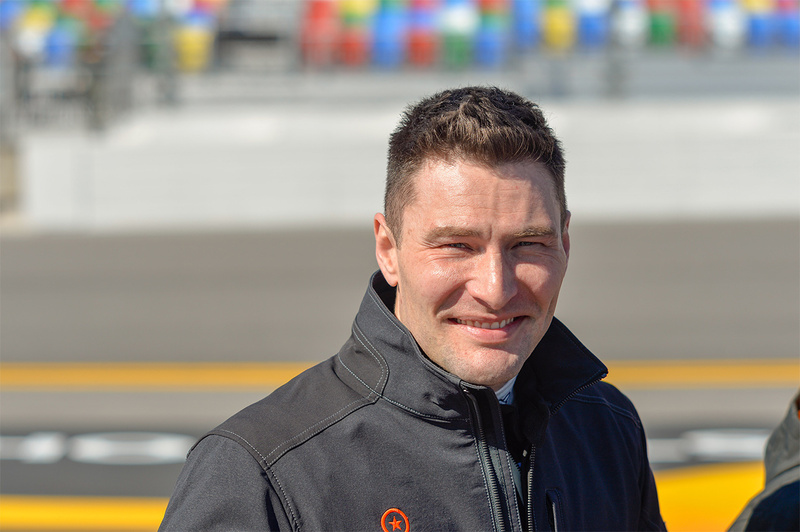 Round two of the Michelin Pilot Challenge ten-race series is the Alan Jay Automotive Network 120 which takes place at the Sebring International Raceway in Sebring, Florida at noon Eastern on Friday, March 15, 2019.